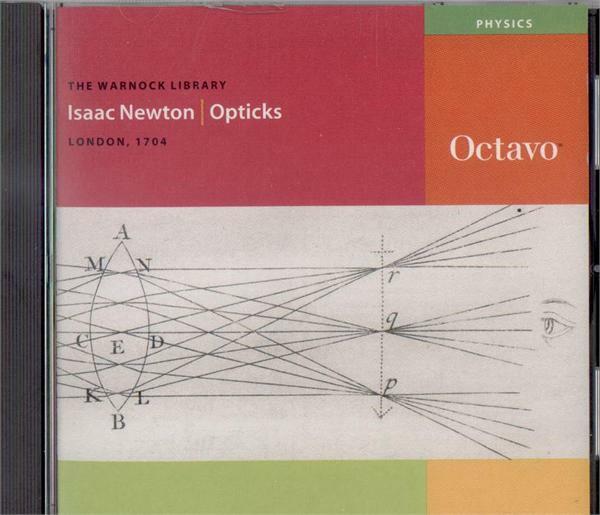 Newton’s earliest optical paper, published in 1672, was the result of his experiments to solve the problem of chromatic aberration in telescopes – that is, aberration caused by differences in refraction of the colored rays of the spectrum. Having ground his own lenses for nearly ten years, Newton concluded that white light contained all colors and that different colors refracted to different degrees. His subsequent invention of the reflecting telescope is described in Opticks in Book I. Two additional essays in this 1704 edition are excursions into higher mathematics.